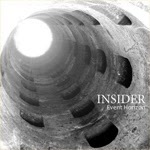 Last year’s Event Horizon is the latest offering from Italian heavy psych/prog rock trio Insider. I have previously reviewed their album Vibrations from Tapes which was a very different affair being a compilation of improvisational studio jams. This 59-minute CD includes eight quite complicated, progressive and almost metal-like instrumental compositions that are unfortunately less spacey and psychedelic but more varied and interesting, even experimental. Even though the music really isn’t that spacey and has very little to do with space rock for example, the themes in the titles are still space, gravity, magnetic fields etc., so sort of scientific… The playing and sound quality on this record that is fully produced by the band themselves is great. The guitar player Marco Ranalli also plays some cool digital and analogue synths that give some more atmospheres to the sonic texture making it more interesting and, at least for me, more digestible. Some of the riffs are quite heavy, slow and even doomy, but more often complex and progressive. The rhythm section of Piero Ranalli (bass) and Stefano Di Rito lays down some solid rhythms, while Marco adds the intricate guitar and synth stuff. The title track is a shorter, acoustic guitar interlude and then we get maybe to the albums best piece “Expansion of the Universe”. This still is closer to metal or prog than psychedelia. This is definitely not a bad album but just not trippy enough to earn my infinite love. 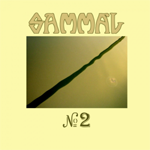 This 20-minute five-tracker is the second release by Finnish progressive hard rock group Sammal. I really loved their debut album that was released on Svart last year and sold-out pretty quickly (you can get a re-press now, though). Sammal had three unreleased outtakes from the debut album sessions, and they wanted to put them out together with a new track and an Aphrodite’s Child cover. Very cool! The new track “Vankina varisten” is mid-tempo, hard-rocking prog in the vein of Uriah Heep and Deep Purple and has some great melodies and solos and a nice groove. 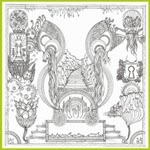 Aphrodite’s Child’s “Magic Mirror” was recently covered by German psych masters Vibravoid and it’s hard to beat them. Translated as “Peilin taikaa” Sammal’s groovy rendition still does the job and they have also kept some of the trippy elements which is great. I love the organ on this one! “Tuuli kuljettaa” is a more atmospheric, slow, beautiful and melancholic song that’s also very good. Maybe closer to old Finnish prog of the early 70s although there’s a heavy Heep/Purple styled boogie part in the middle. “Neito maan” is another groovy, mid-tempo piece with nice and effective chorus and faster solo section. The very touching and melodic “Tähdelle kuolemaan” is one of my favourites. This could be labelled as prog pop, I guess, and sort of reminds me of another excellent Finnish progressive band Liekki who have now disbanded. Very nice, anyway! I know some people have issues with the singer’s voice but I think it’s perfect for the music. This EP/mini album is very recommended for all lovers of progressive, 70s styled rock and pop music. I’m really looking forward to see this band live again on March 21st at On the Rocks, Helsinki. Dead Skeletons: Dead Comet 12"
Oh yes: some more classic retro hard rock from Sweden! Old Man’s Will started in 2011 and they released their debut album in late 2013. They are apparently influenced by the old greats like Deep Purple, Led Zeppelin, Cactus, Sir Lord Baltimore and to a certain degree, Black Sabbath. They have also some blues vibes and the vocals are quite soulful. I must admit that I thought at first that the singer is female, but he’s not… I was just somehow reminded of Janis Joplin. Great vocals, anyway! As I have stated time and time again, I’m totally bored with most of the millions of bands in the 70s retro hard rock genre, but still this sounds pretty refreshing and cool. The album has 9 songs in just 33 minutes, so no extended jams on this one which is maybe only a good thing. 33 minutes of this stuff in the row is not too much. I can’t find anything really special with this album, but as I said, it sounds pretty cool and I do like it. All the tracks feel like they were written before 1975. I don’t have any favourites but there are no total misses either, so I guess you could say that this album is pretty solid throughout. It will also be released in the US next month so who knows where Old Man’s Will can end up. Welsh instrumental psych rockers Sendelica will soon release their first compilation album on limited vinyl and CD. 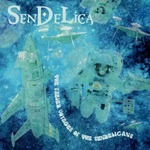 The Fabled Voyages of the Sendelicans includes six tracks originally released on the band’s four first albums 2007-2011. All the tracks will be out on vinyl for the first time! I’ve been a fan since their official debut Spaceman Bubblegum and Other Weird Tales from The Mercury Mind was released on Russian R.A.I.G. label in 2007 and been following them closely ever since. The band never disappoints and a well-thought “best off” album was definitely a good move at this point in the career. “Standing on the Edge” from The Girl from the Future Who Lit Up the Sky with Golden Worlds (yes, they do always have long album titles!) starts off the album. After the heavenly voices in the beginning we get some slow, heavy riffing. This is the shortest track at 3:32 and also played live rather often. From the same album we also get the long “Manhole of the Universe” where guitarist Peter Ingham gets to play lots of excellent solos. There are for example some hallucinatory speech samples and electronics included to increase the trippy factor and it sure works! Nice jamming on this one. “Zhyly Byly” is my favourite track from The Pavillion of Magic and Trials of The Seven Surviving Elohim, the first CD on their own Frg Records. This is mysterious, deep, psychedelic and trance-inducing stuff with some dub and electronic elements thrown in for good measure. The end is close to Hawkwind styled space rock which is always a good thing in my books! Then it’s time for something extremely beautiful and atmospheric: “Screaming and Streaming into the Starlit Nite” is definitely inspired by “Maggot Brain” that the band has also covered on their Fruits de Mer 7”. This track has totally awesome saxophone by Lee Relfe and spacey synths and electronics by Colin Consterdine and just keeps on growing and expanding. Amazing! From the same Streamedelica, She Sighed as She Hit Rewind on The Dream Mangler Remote album we also get the celestial and tranquil “Carningli (Hill of Angels)” that proves that Sendelica can create brilliant, dreamy ambient soundscapes as well. Nik Turner is playing flute on this one! The last track “Spaceman Bubblegum” is the only one lifted from the band’s debut and is a good and heavy choice with some nice jamming by the guys. The mega limited CD/vinyl box full of space goodies is already sold out on pre-order but you can still get black or blue vinyl and of course the CD version on the band’s own label. This is a great collection and comes warmly recommended. The band will start their next tour in April at the Crabstock – Fruits de Mer Festival of Psychedelia in Wales and also play at the Finnish version of the festival, Crabstock on Ice, on May the 3rd at Club Darkside in Helsinki. Go and see them live if you can! Alan Davey is still most known for being the longest standing bass player of Hawkwind but he has also released many albums as a solo artist and with his other bands like Bedouin and Gunslinger. Several years ago he released one limited edition CD-R as Al Chemical’s Lysergic Orchestra and that was a more experimental, modern electronic affair a bit farther away from his heavy space rock roots. Now he has sort of brought his alter ego Al Chemical back to life but still as Alan Davey… Okay, a bit confusing maybe, but please don’t let that stand in the way since this is great stuff! This new album is heavily influenced by Alan’s visit to Death Valley where old stories and legends and the whole atmosphere inspired him to write all these songs. The album kicks off with a heavy space rock blast called “Goodbye Death Valley” that really isn’t that far away from his work with Hawkwind. Very driving and hypnotic, rocking stuff with nice vocals! Maybe my favourite track. “Hell’s Gate” is a much more laid-back, atmospheric and sort of weird, short instrumental, and then we’ve got the album’s longest track “Mustard Canyon” that is very electronic, ambient and modern sounding in nature. Alan really knows his way with programming, synthesizers and sequencers too… On “Badwater” he rocks out a bit more again and there’s also a bit of vocals by Alan’s artist friend Kevin M. Sommers who’s responsible for most of the cover art work on Alan’s releases. Kevin also plays trumpet on this one. Very nice stuff! 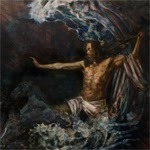 “Dantes View” is at first a minimal, experimental ambient piece that gets some beat later on. The mid-tempo “Titus Canyon” sounds has a hypnotic bass line, some heavy electric guitar, synths and even wicked banjo and sampled vocals. The strange and psychedelic “Titus Canyon” is the second track with vocals from Mr. Sommers. This is sort of trip hop but in Alan’s own style. The very trippy and dark “49’ers” is based on the famous story of the group of gold rush pioneers in the 1840’s and has some spoken word by late Bob Calvert as well. “The Racetrack” is weird and sort of spooky electronica and the CD is finished with “Zabriskie Point” that cools things down in a very tranquil, airy and ambient way. 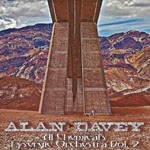 Another great album by Alan, warmly recommended! I have difficulties listening to this CD without a certain amount of sadness. This is the last studio album by Tucson, Arizona based psychedelic explorers Black Sun Ensemble (1985-2013). The band leader, legendary and very unique guitarist Jesus Acedo died of heart attack in the middle of the recording sessions on March 4, 2013. He was only 50 years old and left this world much too young. He had a troubled life struggling with his inner demons but he gave us so much wonderful, otherworldly manifestations through his magical music. He had just got his life somewhat back on track in 2012 after several more years of distress and the band started to make some music again. He definitely is and will always be one of my biggest heroes. Behind Purple Clouds is the first BSE album since 2008’s Across the Sea of Id: The Way to Eden. The 58-minute, fully instrumental CD has 13 tracks. “Black Temple”, the opener, starts off peacefully with some melancholic keyboards that are soon joined by mysterious guitars, violin, flute, bass and percussion etc. The hypnotic and more up-beat “Mandala” wakes you up from the druggy slumber and has quite a lot of power. Great! On “Egyptian Magician” things get a bit electronic with some modern sounding dance beats and psychedelic space sounds. The longest (6:55) track on the album is “Valley of the Kings” where you can hear the mysteries of Ancient Egypt to take form. Acedo does not play on this track but the oud played by Michael Henderson gives a very Jesus-like vibe. Great bass playing by Eric Johnson too! ”Blue Thunder” is a beautiful, melancholic piece with great atmospheres. Acedo is credited as one of the writers but is not playing on this one either. A classic, heavy and dark BSE track “Captain Wormwood” sees a nice, new and shorter interpretation and this was also released on a 7” split single that I still need to track down. the more acoustic and percussive “Bastet” (without Jesus) is a return to the Egyptian moods and “Lotus” is a very pleasant, simple little dream world. Acedo is back in business on at first mellow and moody track called “Watch the Stars” that gets more intense after one minute. “Jasmine” is an acoustic, hypnotic very Arabic sounding piece written by oud player Al Perry. We get some heavier electric guitar rock on Acedo’s “Apollo Wolf” that reminds me of the 80s BSE stuff. “Red Temple” has an almost dub reggae kind of vibe that’s unusual for the band but it still works great and has some powerful organ and guitar. The album is finished with the most beautiful, tranquil and blissful title track “Behind Purple Clouds” that just has Jesus Acedon on guitar, Eric Johnson on organ and Bridget Keating on violin but that surely is enough. 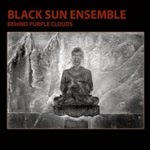 What a wonderful end to this amazing CD that is a great and welcome addition to the legacy of Black Sun Ensemble. The band is no more but the legend lives on and luckily there is still a change to hear some more unreleased bits and pieces in the future. “Jesus Angel De Paz Acedo – may you walk in light, love, wisdom and beauty – forever”. Astral Visions #49 online now! 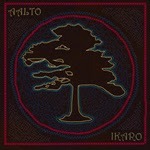 Ikaro is the second full-length by Finnish psychedelic ethno-folk group Aalto. I really enjoyed their previous album Tuulilabyrintit released in 2012 and now the band at times gets even more psychedelic and hypnotic which is great. They have taken influences from various ethnic folk music styles and traditions as well as progressive rock and jazz. The instrumentation includes for example guitar, sitar, tambura, Finnish zither, didgeridoo, clarinet, mandolin, banjo and drums & percussion. Five of the six members on this CD also sing, often several of them at the same time. There’s also some throat singing to give a nice, exotic twist. The 52-minute album includes eight tracks. “Metsätaloushöömei” was previously released on the first, self-titled CD-R EP, but this is a brand-new version. Most of the music is mainly acoustic, but there is also some electric guitar. Nature, cosmos and dreams are some of the key themes in the lyrics that are in Finnish. The album starts off with the hypnotic, monotonous and spell-bounding title track “Ikaros”. It grows very slowly into quite intense, captivating soundscapes and then cools down again. The progressive, melodic and lively “Vapahtaja” has lots of elements from Eastern music. In the end it gets jazzier as well. Very nice! “Heijastumia” is a more laid-back, mystical and a bit Indian-styled number. “Kastepisaroita I” is very peaceful, melancholic and minimal piece with beautiful female vocals. The instrumental “Kastepisaroite II” has more instrumentation but is also rather slow stuff. “Sateentuoksuisia unia” is a nice, dreamy psych folk song that has full drum set and some electric guitar as well. Great! “Metsätaloushöömei” is a catchy acoustic folk song for the forests and also has throat singing. Very earthy and ecological message and some excellent musicianship on this one! The album ends with the 10:39 long “Kuun tytär” that begins with some didgeridoo and builds up slowly. We get some wonderful guitar, zither and clarinet melodies as well as fragile female vocals and tribal percussion etc. This is deep and primeval stuff that puts you in deep trance, lovely! The going gets more intense later on… Maybe my favourite track on this very enjoyable album. I’ve never seen Aalto live but I hope I can fix that problem tomorrow when they are playing a record release gig in Helsinki at Siltanen! Another album release party will be held on Friday at Tampere’s Telakka. Deep Space Destructors is a psychedelic and progressive band from Oulu, Finland who combine in their music several sonic ingredients like doom metal, space rock, hard rock, post-rock etc. I don’t have their first album, but you can listen to three of the songs on their Bandcamp page, and it seems that II is a giant leap forward in every way. The album was released already over a year ago, but I got it very late. I’m glad I did since this is marvelous stuff! Like the debut, the bands second album includes four long tracks. “Beneath the Black Star” starts off in mellow mood, but it gets more mystical and heavier quite soon. The sound quality is a lot better and clearer than on the debut, that’s for sure. There’s also some of that spacey swoosh noise that makes things much more psychedelic to the third ear. The slow drums join in before the three-minute-marker and after one minute we also get some vocals that alter between mantra-like and melodic. Great stuff! There’s also a guitar solo later on. This is not of the ultra-heavy, down-tuned doom metal variety but more atmospheric and beautiful. “Deserted Planet 2078” has a lighter, even bluesy vibe but also some heavier stuff and it starts to rock out later on. “Spacy Phantasy” is a little more progressive piece with some early 70s vibes and more space sounds. A pretty nice and varied number! The last track “Sykli” is the longest and starts off in beautiful, peaceful way. The lyrics on this one are in Finnish which gives it an early 70’s Finnish prog rock vibe. Nice playing! Also this song starts to rock out more towards the end sounding like hard rock/heavy boogie and I like it. The CD is limited to just 200 copies and comes in an amazing ecopack cover that is even more psychedelic than the music… Recommended! Crabstock on Ice - Fruits de Mer Festival of Psychedelia Finnish Edition May 3rd 2014! 3.5.2014 @ Club Darkside, Perhonkatu 6, Helsinki, Finland. 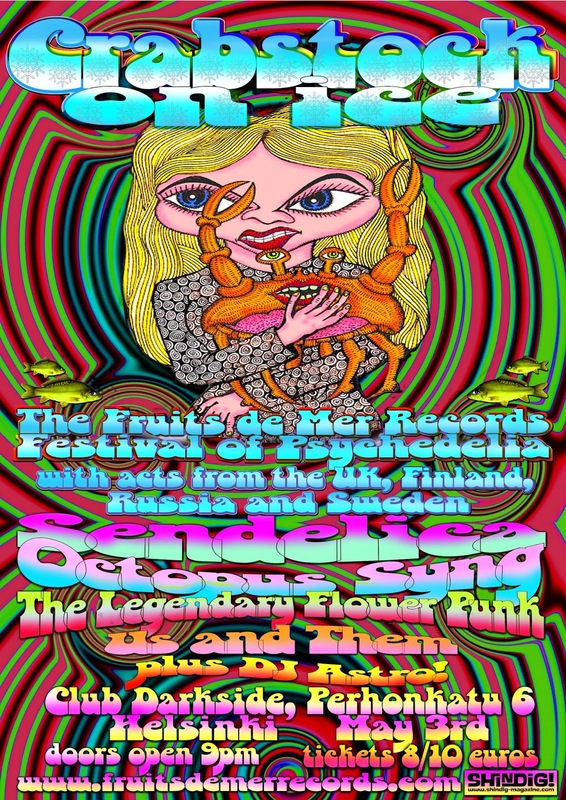 The “Mighty Fruits de Mer” (c) Record Collector magazine in association with Sendelica along with their Finnish comrades announce an evening of electric psychedelia featuring a great line-up of Fruits de Mer-related artists. After the success of Fruits de Mer’s first live event – the 2013 summer Fruits de Mer All-dayer at London’s Borderline, FdM seeks out the Finnish connection with hours and hours of psychedelic music at Helsinkis warm and cozy Club Darkside. Early-bird (/fish) tickets are just £7/8Euros and that includes a FDM GOODIE BAG to the first 100 people through the door (received on entry to venue) including an exclusive FdM 'Crabstock On Ice' and a Fdm May release preview CD. (a copy of FdM’s Borderline free CD sold recently on ebay for £70, while a complete Borderline goodie bag sold for over £125). The tickets at the door (if any left) will be 10€. Sendelica - they are Fruits de Mer regulars, featuring on many releases – from their stunning version of The Velvet Underground’s ‘Venus In Furs’ to a sidelong track on FdM’s recent ‘strangefish’ series of albums. PROG magazine rated their new album #2 in their top 20 albums of 2013 and also featured in US Goldmine Magazine top albums of 2013 and Greeces Timemazines top 20 list. Octopus Syng - started out as a one-man psych rock/folk/pop act of Jaire Pätäri but has since grown into a full live band. They have so far contributed to two Fruits de Mer releases: Keep of the Grass LP and Regal Crabomophone Annual for 2014 7". 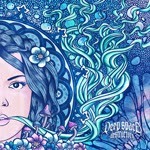 Look out for their third full-lenght album Reverberating Garden Number 7 to be released on Mega Dodo (UK) this Spring. Us and Them - Swedish duo Anders and Britt are releasing their second single on Fruits de Mer in March. 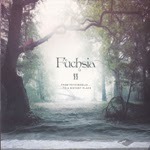 Beautiful, simple acid-folk, their website is usthem.wordpress.com - there are some great reviews there. The Legendary Flower Punk - will appear on the festival as psychedelic space rock duo featuring two members of The Grand Astoria (the band related to Fruits De Mer via numerous compilations). Another great news is that "Crabstock on Ice" will also be an official release day of the new album called "The Great Acid Folk Swindle"!!! CDs will be available for purchase in the club. ...all that for just 7 pounds / 8Euros ADVANCE TICKET!! !